The Perfect MySQL 5.6 or MariaDB Hosting Solution. With an account loaded with high performance MySQL each hosted on our blazing fast Business Servers, you’ve found the premier MySQL hosting platform. We’ll always keep MySQL up to date and tuned for maximum performance. Host on our Cloudflare Servers for up to Much faster load speeds! Choose PHP 5.4, 5.5, 5.6, 7.0 or 7.1. Whatever your development platform is, we’ve got your Hosting with MySQL and PHP needs covered! If you need to get in and manage the database, we have PHPMyAdmin pre-installed, or use our free SSH access to use the command line interface if you prefer. You can even manage your MySQL databases remotely! since 2002, we’ve offered ultra-reliable service with awesome 24/7/365 Support to developers like you. We're looking forward to working with you. Get started now risk free with our Money Back Guarantee. MySQL is the world's most used Open Source database. MySQL is known for its exceptionally fast speeds, straightforward customization, flexibility and reliability. Many of MySQL's advantages stem from its minimalist approach and code reuse. MySQL utilizes Structured Query Language (SQL). SQL is a computer language designed to add, retrieve and manage data within a database management system that uses a logical, easy-to-use syntax. MySQL is a relational database management system (RDBMS). An RDBMS stores data in table format, with the relationship within the data also being stored in tables. PHPMyAdmin - The web based interface used to manage your MySQL database. Use PHPMyAdmin to create, modify, delete or execute statements in your MySQL database. 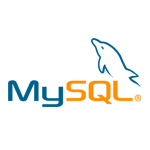 Remote MySQL - Allows external servers to access your MySQL databases by adding the domain name to the list of hosts that are able to access databases on your web site. MySQL Database Wizard – Will walk you through creating a database's name, username, password and privileges. PHP is used to place instructions into the pages of a website. When a visitor accesses your website, PHP-enabled web server software (like Apache in a LAMP stack) executes these instructions behind the scenes to retrieve information from a database to be displayed on the page. In this example, MySQL is the database that stores and organizes this large amount of information to be accessed by PHP's instructions. Example: Let's say you would like to create a poetry website. Hosting with MySQL and PHP will save you time because you would only need to add all your poems to your MySQL database once and write one PHP file that could be used to locate any poem in your database and display it on your site. This is opposed to writing an HTML file for EVERY poem you want displayed on your site. This example is extremely simplified, but illustrates how MySQL's and PHP's relationship can create powerful dynamic websites.